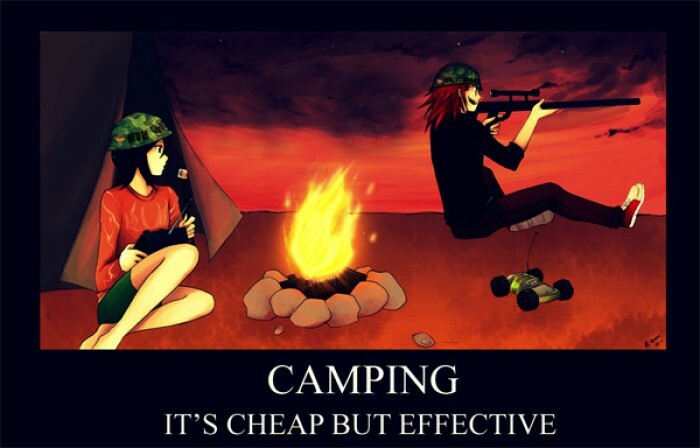 Camping is cheap but effective. Camper with a sniper rifle in camp. A term given to those in an online multiplayer game (usually FPS) who will place themselves in a strategic position and wait for an extended period of time until a target enters his field of view. 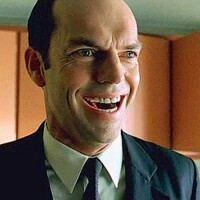 The position usually allows one to surprise the target and allows the "camper" to eliminate him with ease. There are variants of this such as camping an item to repeatedly gain its benefits and defending a critical location.